There are many posts on really convoluted topics, but what about posts describing the most common of tasks? As part of CloudShare’s content team, I perform many of the everyday tasks related to the installation of different servers and the creation of new templates. This is the first post in a series that will explain the most simple and efficient ways to perform common tasks in Windows Server and SharePoint Server environments. Today I will focus on the setup of Active Directory Domain Services setup and the configuration of a new Domain Controller. 1. Log into your Windows Server and start the Server manager. 2. Navigate to the Server Roles tab and click on Add Roles. 3. Once the Add Roles Wizard opens, click Next. 4. The Wizard will display a list of Roles. 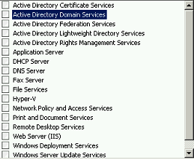 Choose the Active Directory Domain Services Role. 5. 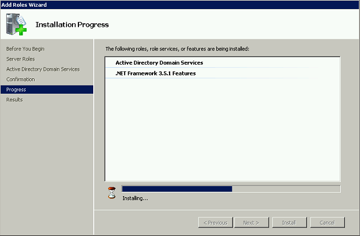 The Active Directory Domain Services Role requires adding features to the server. Click on “Add required features” and then click on next. 6. On the following screen click Install and wait for the installation to finish. When the installation finishes click on Close. 7. At this point the Active Directory Domain Services are not yet configured. 8. 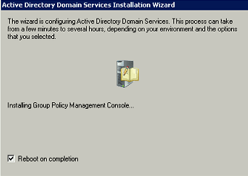 If we click on the Active Directory Domain Services button we get to the following screen. Our next step will be configuring Active Directory Domain Services using dcpromo.exe. 9. 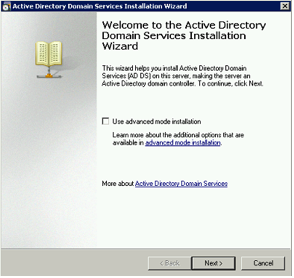 We are about to start the Active Directory Domain Services installation Wizard. 10. Navigate to the following screen. 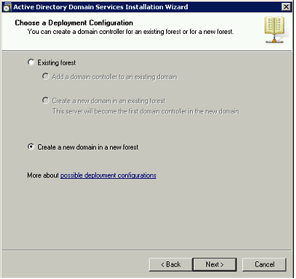 Choose the “Create a new domain in a new forest option” and click Next. 11. Type in your Domain name. 12. Choose the oldest operating system in your network. This option exists for backwards compatibility of different features. 13. If your Domain Controller is a stand-alone server you don’t have to choose the DNS server option. Otherwise, it’s recommended to leave DNS server checked. 14. Specify the folders that will contain the Active Directory controller database, log files, SYSVOL, and click Next. 16. When the wizard finishes configuring the settings, reboot your server. 17. After rebooting, the server is not going to accept your machine Administrator account upon first log-on. 18. In order to solve this issue you need to choose the “Switch User” button and login with your Domain Administrator account, which is basically the same user account and password but now it must include the domain name. 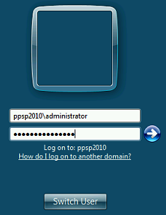 For example: PPSP2010\Administrator. That’s it! In the next post, I’ll discuss how to install SQL 2012 Business Intelligence with Reporting Services, Power View, and PowerPivot for SharePoint.